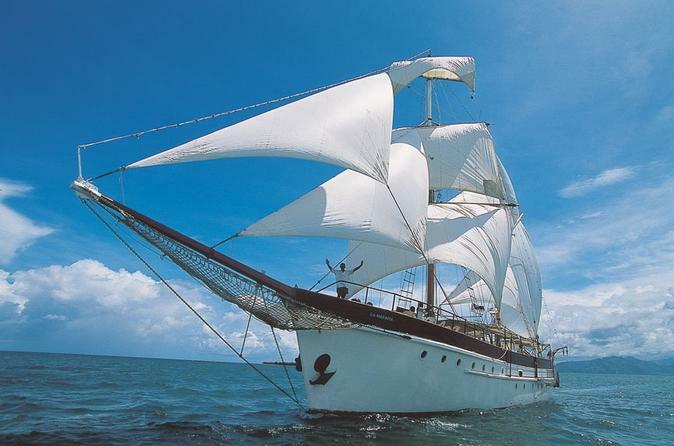 Set sail by tall ship to pristine Tivua Island, offering all the attractions of a small Fijian tropical island. 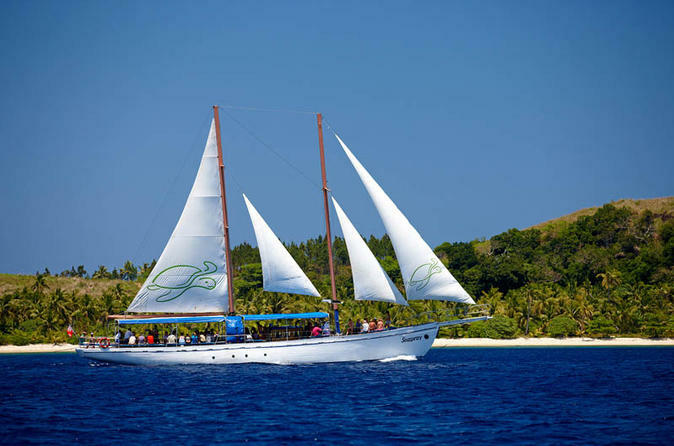 This 7-hour cruise includes hotel pick up and drop off from Nadi, a guided snorkeling tour, glass-bottom boat tour, use of canoes, Kava ceremony, volleyball, morning and afternoon tea, music and entertainment and a tropical buffet luncheon. 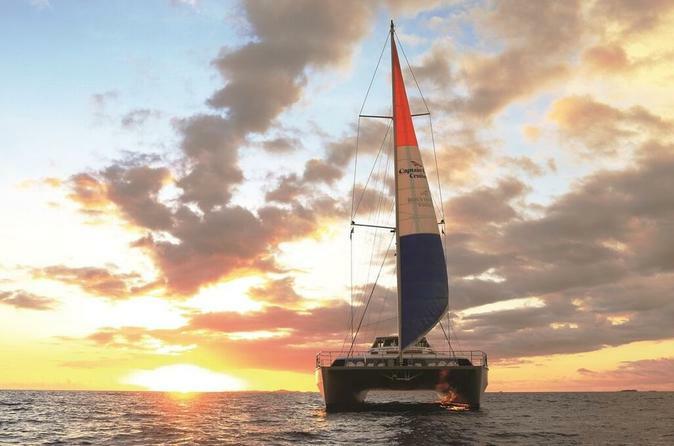 As the sun slips below the horizon, board a Fiji sunset dinner cruise from Denarau Marina. You’ll be welcomed with a complimentary cocktail before enjoying a BBQ dinner, with the option to upgrade to include freshly caught lobster. As you are wined and dined with the glittering Pacific Ocean as your backdrop, listen to islander ballads and be entertained by a Fijian cultural show. Enjoy a day on Fiji's idyllic Castaway Island. Cruise through Fiji's Mamanuca Islands on board a luxury high-speed catamaran to Castaway Island. Spend your day lazing in the sun beneath the palm trees on Castaway's golden sand beaches, snorkel amongst the coral and abundant marine life or take a dip in the resort pool. A scrumptious lunch will be served at Castaway Island's beach side restaurant. On your return trip to Denarau Marina, enjoy a drink as you are entertained by the friendly Fijian crew! Spend the day on beautiful Mana Island! 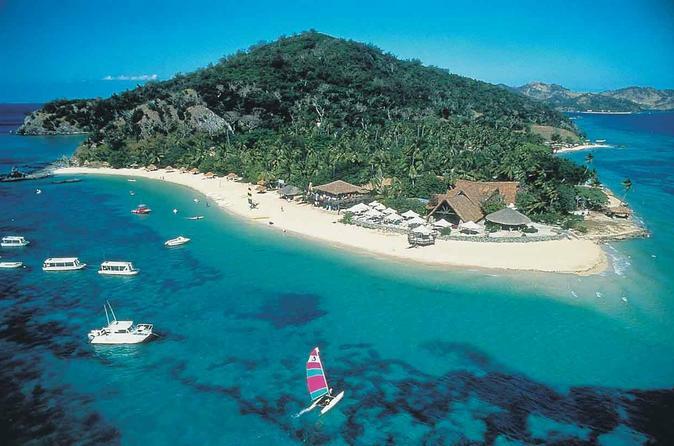 Take a luxury catamaran to one of Fiji's most amazing islands! Snorkel, swim and even explore the reef on a Subsea semi-submersible adventure. Hop aboard this magnificent two-mast schooner and sail through Fiji's Mamanuca Islands for the day. Explore uninhabited islands, swim in crystal-clear blue lagoons and visit a local village for a Kava ceremony. Enjoy morning and afternoon tea and a delicious barbecue lunch with drinks included. It all makes for a fantastic day in paradise. Escape to the remote and rugged Yasawa Islands on a full-day cruise from Port Denarau Marina near Nadi. On board a comfortable, high-speed catamaran, take in the stunning and varied scenery as you cruise through the ancient volcanic islands of the Yasawa island group. 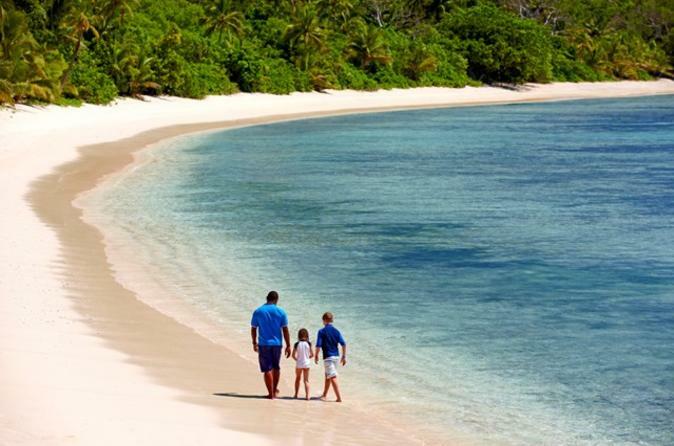 Then, spend the day at one of two Yasawa island resorts. Choose Octopus Resort on Waya Island, where you can unwind by the pool, snorkel, hike or scuba dive (scuba diving is an additional cost, payable locally). Or choose Botaira Beach Resort on Naviti Island, where you can enjoy the remote location, relax on the pristine sandy beaches and explore an abundance of marine life just steps from the shore. 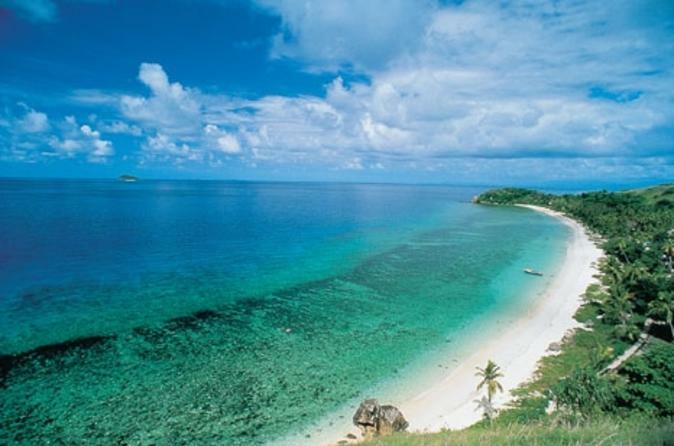 Island-hop your way around the beautiful islands of Fiji! This 6-day hop-on hop-off cruise takes you to three stunning locations in the Yasawa Islands and Mamanuca Islands. Enjoy leisurely beach strolls; fun activities like snorkeling, kayaking and swimming through caves; and visits to great local attractions. Choose to stay in budget-friendly, shared dormitory accommodations or upgrade to standard rooms with additional amenities. Or stay like a local in a traditional Fijian bure (huts). Meals and all transportation included! 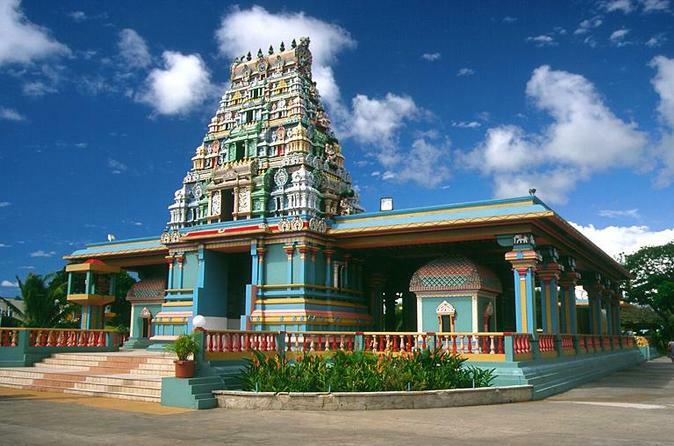 Your tour of Nadi starts with pick up from your hotel in Nadi, Denarau or the Coral Coast. Your day will include touring the Garden of the Sleeping Giant, mud bath, hot spring, Fijian Village and shopping and lunch in Nadi (lunch and stopping is at your own cost). 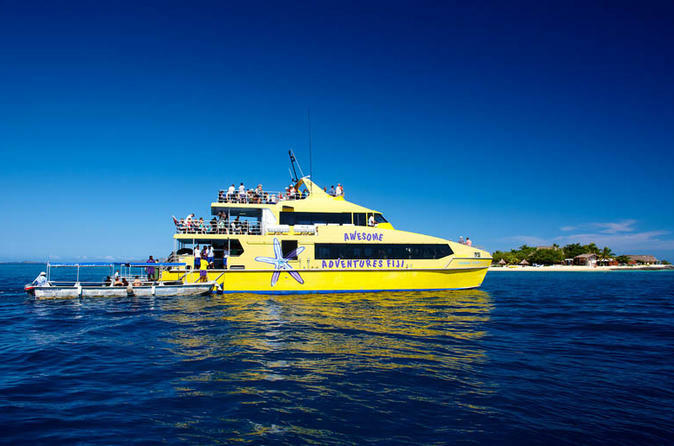 There is no better way to see the tropical islands of Fiji than with a hop-on hop-off pass! Board a sleek catamaran that provides transportation from island to island, and explore the stunning Mamanuca Islands and Yasawa Islands. Wake up to a new incredible destination each day and discover the islands’ sights, activities and attractions at your own pace. With a complimentary guidebook full of suggestions and tips on what to do and see, you’ll enjoy the freedom to island hop at your leisure for five to 21 days. The “Discover Coral Coast Tour” is a fully guided tour giving our guests firsthand experience of the traditional Fijian of our country. 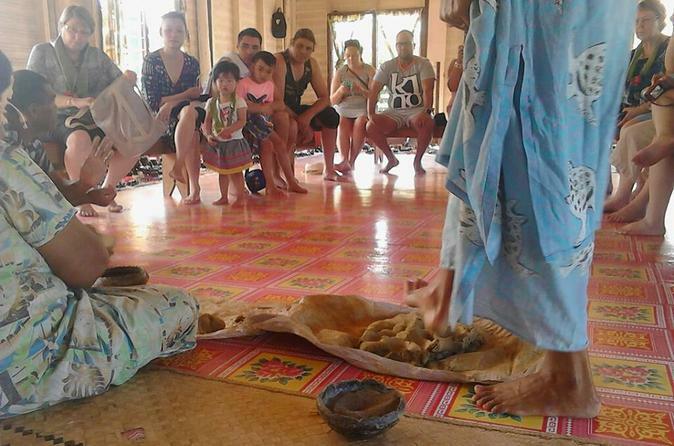 This Tour also takes our guests through Lawai Pottery Village where traditional Fijian Pottery is molded.